Is it normal that when only RSS and the textures are installed (no additional visual mods or RO), using KSP 1.4.5 - the sky and ground at SPC are pitch black? Did you try to time warp a bit? 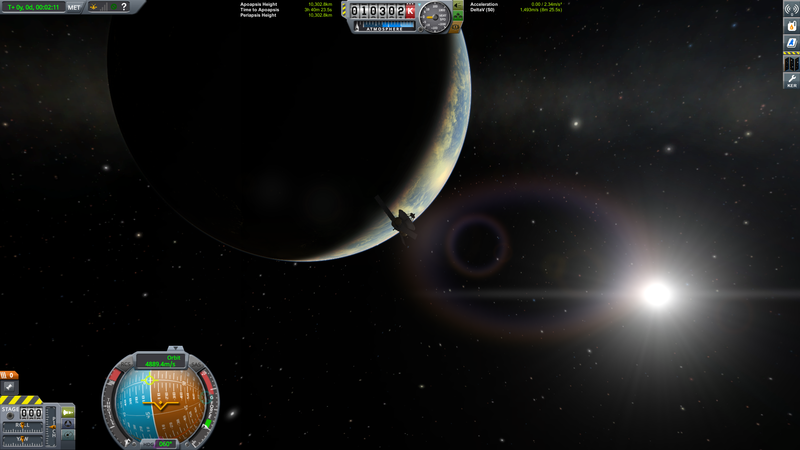 Are there working clouds for RSS in KSP 1.4.5 anywhere? Delete rssve.dll. You still have EVE&Scatterer configs&textures. 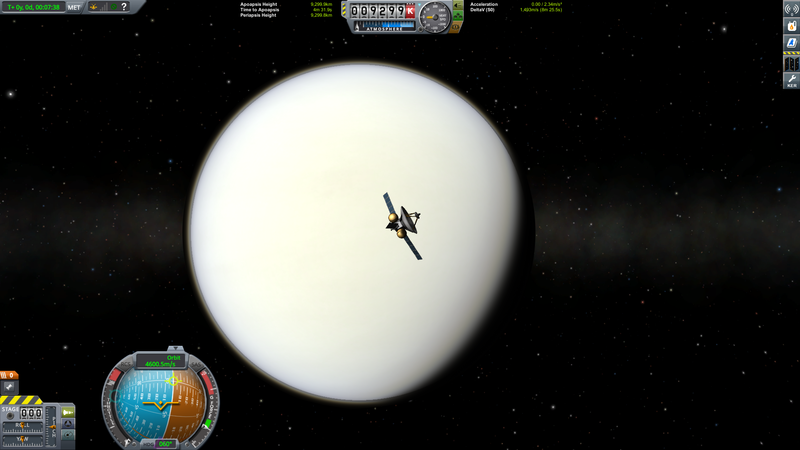 Hm, I have clouds now but the Sun and the polar lights of Kerbin are very garishly. I would like to try... but I don't know how to do that. Sorry for asking that (I'm totally a numb in programming) but can you, please, share your RSSSVE modified file via Dropbox? I am confused about the install. 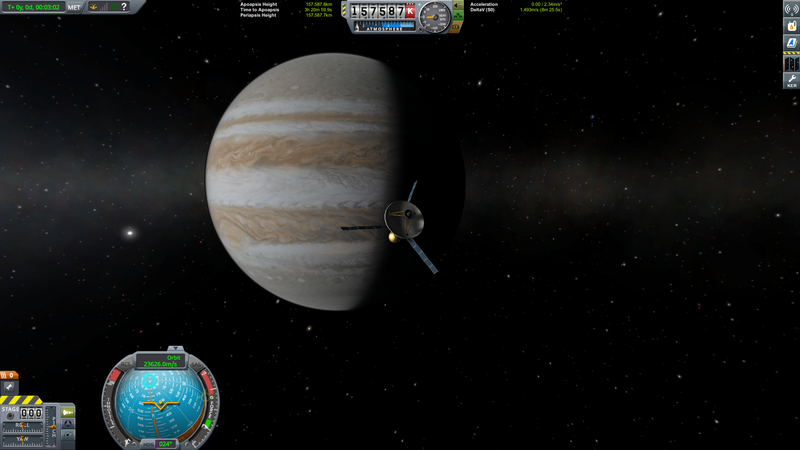 Is this version of RSS compatible with ksp v 1.4.5? Sorry ! I'm really a numb... it doesn't work because of the mod BoulderCo. Delete it and now I have the clouds. 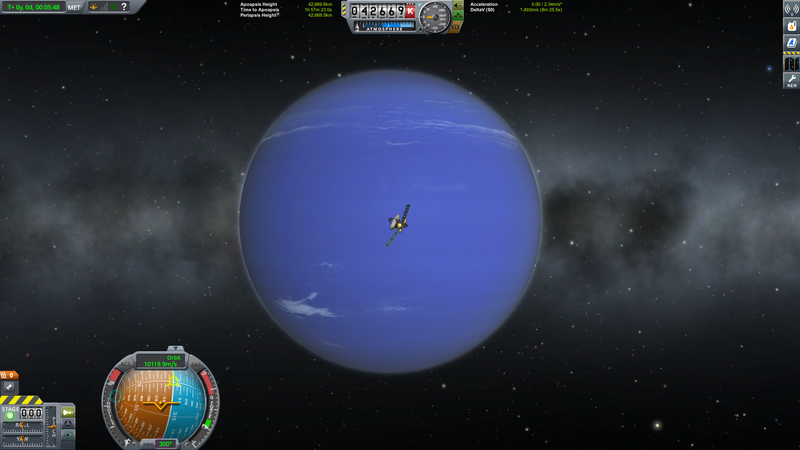 this, along with some other mods, will make ksp a perfect computer simulation for real spaceflights...maybe? The file GameData\RSSVE\Clouds\RSSVE_Cloud_Config.cfg was shipped with RSSVE. The file linked above is named different, it's RSSVE_Clouds_Config (plural, Clouds). Should it be the same file, so overwrite the original one? Or should it be an additional file? And what about GameData\RSSVE\Clouds\clouds.cfg ? Just more confusion! Delete both and replace them with the downloaded one? It’s not an additional file! And I didn’t touch Clouds.cfg. And what about GameData\RSSVE\Clouds\clouds.cfg ? @Marschig: luckily I had drag'n'dropped the link to the github to my archive, the OP of RSSVE got the link deleted - I had an outdated version (well, the latest version is also outdated, but not that much). So I downloaded the latest release v1.3.1-5 - but I will give RSSVE-Lite a try first, because I never use scatterer (my rig is not fallen from a wormhole, coming from 2525). First time using RSS because it finally caught up with latest version of the game. Venus texture - false orange color on a radar map where lightness represents slope and radar reflectivity. Literally nothing like Venus terrain appears to human eyes. Its surface is actually dark gray, volcanic and doesn't glow. There are more examples, like Neptune being way too blue and Uranus being too green (myth dragging itself through education system and encyclopedias) and oversaturated gas giant satellites. I could offer help with correcting this. 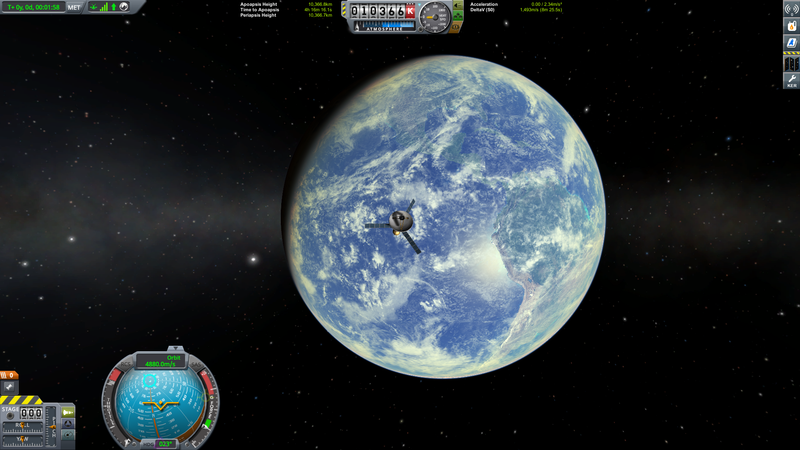 There's no need fpr KSP players to avoid the realistic beauty of worlds in our neighborhood. 2. There is a 95% chance that this forum is abandoned, but this is my last piece of hope to install a small segment of Realism Overhaul. Anyway, this is just a curious question: How do I install the mod since I am really confused into how to use and download mods? I have something called Ckan or something... There's something called kopernicus which is supposed to be some (RSS) system. I install that, and everything is so dark. Everything is black. No it's not night time, I literally time-warped a few times, and still nothing happens. 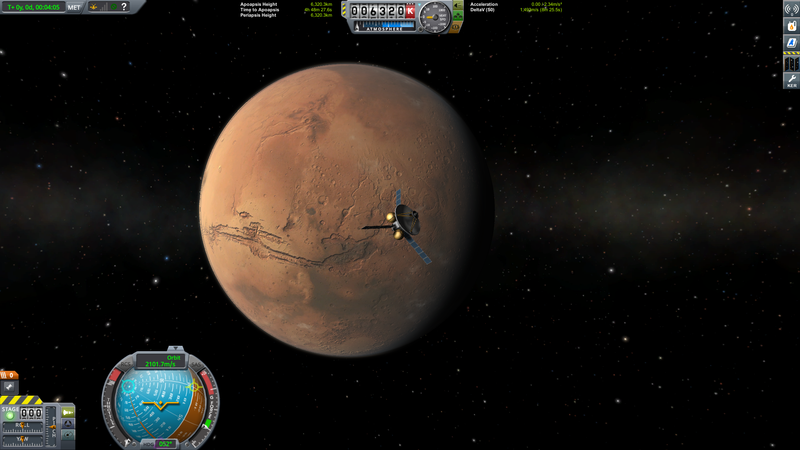 I got Extra Visual Enhancements, I got planet-shine, and still nothing happens. However, I have no idea how to install, frankly any mod? 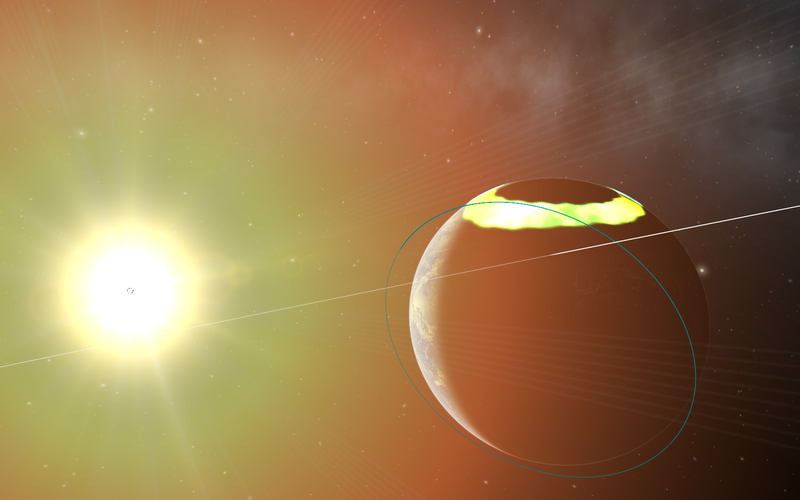 I think I used planet shine wrong, whenever I run EVE it crashes... I am really bad at this. I might sound like I know a thing or two about mods, however it's just because I did (a bit)* of research over realism overhaul, and I am (somewhat) tech savvy... I really want this mod, because I know you admins worked on this a lot, and I would like to acknowledge your work. Sorry to bother you guys... Admins, please forgive me if I missed anything said in the forum, I won't ask for 1.4.4 compatibility, I am just happy with 1.2. Anyway, welcome to the forum rubikscubeworld... I guess I said that just to make myself feel better? Forgot to say something. I have put out all my effort into this, and poured out all my hope into you guys, I believe that I might get this back.